Tanvaldská 345, areál INTEX a.s.
We hereby declare that the sole purpose of the data provided to us is identification during a purchase in our e-shop www.Altaros-compressor.com We declare that the data will not be disclosed to third parties, or otherwise misused. Orders made by the Buyer shall be deemed to be the proposal of a Purchase Contract. The Purchase Contract itself shall be concluded at the moment of the delivery of the Buyer´s and Seller´s binding consent with this proposal (a binding acknowledgement of the order by the Seller). Since that moment, the rights and obligations between the Buyer and the Seller shall commence. Concluding the Purchase Contract shall be deemed as a confirmation by the Buyer that he has learnt the business terms and conditions, including the complaint procedure, and that he agrees with them. The Buyer shall be duly informed about the business terms and conditions as well as the complaint procedure before the order execution and he shall have the possibility to learn them. The Seller reserves the right to cancel the order fully or partly before the Purchase Contract has been concluded in the following cases: the goods are no longer produced or supplied, or else the price of the supplied goods has substantially changed. In such a case, the Seller shall immediately contact the Buyer in order to make an agreement about what to do next. In case the Buyer has already fully or partially paid the purchase price, the amount shall be transferred back to his bank account and the Purchase Contract shall not be concluded. All the orders received by this e-shop are binding. The order may be cancelled prior to its expedition. In case the order shall not be cancelled prior to its expedition, the ordering party may be asked to cover the expenses of the goods expedition. The Buyer shall be automatically informed by e-mail about the order reception. You can find out about the expected time of delivery of each product item that was not in stock under “Details”. It is always necessary to check the availability by contacting the operator. The order is deemed cancelled if you cancel it within 12 hours. You can send the cancellation notice by e-mail or give us a call. When cancelling the order, you have to give your name, your email and the date when the order was placed. Shipping cost is different for each country. Some shipping cost are listed in Price section. Exact shipping cost will be stated in answer on your order email. It is possible to lodge a claim within three days of delivery, supposing that the defect was not evident during the acceptance of the goods! A claim about the consignment can only be lodged upon its acceptance! WARNING! In case the parcel has been visibly damaged or in case the protection band has been damaged, execute the claim directly with the carrier! The supplier shall not be deemed responsible for defects which occurred during transportation! At the territory of the Czech Republic, the consignment is usually delivered the second day after its dispatch. The customer is informed about the dispatch by email. You will always find a tax receipt in your consignment. The warranty period starts as of the date written on the receipt. The warranty period is 2 years, unless otherwise set out in the “Details” section under every product. In controversial cases, it is possible to prolong the warranty period by 5 days (five days) as a compensation for the transportation time. Products can be returned for any reason in 14 days from the time of delivery. Product which you want to return must be functional and not show any signs of damage. It must therefore look the same as when it was delivered including packaging material, manual and Accessories. Compressor ship back always in original box with foam filling, otherwise will be compressor damaged during shipping back. There is no possibility to apply for reimbursement of shipping cost. Upon receipt of merchandise goods compressor is inspected,then we will refund you compressor cost without shipping cost on bank account, or paypal which you specified . In case that upon acceptance of the goods the goods are not conforming to the Purchase Contract (“inconformity with the Purchase Contract”), the Buyer has the right to ask from the Seller to put the goods in the state conforming to the Purchase Contract free of charge and without unnecessary delay. This can be performed, upon request of the Buyer, either by replacing the goods, or by repairing the goods. If such procedure is impossible, the Buyer is entitled to demand appropriate price reduction or to withdraw from the Contract. The aforementioned does not apply, if the Buyer was aware of the inconformity with the Purchase Contract or has caused the inconformity with the Purchase Contract himself. An inconformity with the Purchase Contract that manifested within six months since the day of the acceptance of the goods shall be considered inconformity with the Purchase Contract already existing upon the acceptance of the goods, unless it is contrary to the nature of the goods, or unless counter evidence has been found. 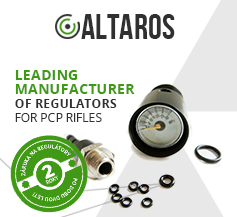 We provide a warranty period stipulated by the Czech legislation. If the Purchase Contract was concluded via telecommunication means (the e-shop), the Consumer has the right, pursuant to s § 53 section.7 of the Civil Code, to withdraw from the Contract within 14 days since the acceptance of the goods. In this case the Consumer shall contact the Seller, preferably via email, that he withdraws from the contract. In the email the Consumer shall mention the order (invoice) number, the date of the purchase and the bank account number onto which he wants his money refunded. It is also possible to refund the money in cash at the Company headquarters. The Contract withdrawal notice from the Customer has to be delivered at the latest on the last day of the 14 day period. In special cases, allowing for circumstances, the period for rejecting/returning the goods can be prolonged, however, for not longer than 30 days since the delivery. However, this legal provision may not be understood as a possibility to borrow the goods free of charge. In case the Consumer exercises the right to withdraw from the Contract, he is obliged to return everything he received on the basis of the Purchase Contract to the Seller. If this is no longer possible (e.g. in the meantime the goods were destroyed or consumed), the Consumer must reimburse the Seller for the goods that can no longer be returned. If the returned goods are only partially damaged, the Seller is entitled to perform his right to claim the damage and to reduce the purchase price refund accordingly. The Seller is obliged to prove the incurred damage. In such a case, the Seller will refund only the appropriately reduced purchase price. The Seller is entitled to reduce the reimbursement to the Customer by his actual expenses incurred upon returning the goods (transportation expenses etc.). However, such expenses may not exceed the regular postal service delivery price (registered mail). Agreement for the supply of audio and video recordings and computer programs, in case the Buyer has damaged the original cover. Certain consignments can be divided into several parcels. The postage fee shall be the same. We track all consignments until their delivery, in order to prevent problems during carriage. The consignment has to be complete (including all the documentation and accessories) and in the same condition as it was upon acceptance of the goods upon delivery. Please, enclose the purchase receipt when returning the goods. Do not send the goods “cash on delivery”. We recommend that you insure the goods. You can only be reimbursed to your bank account (do not forget to provide the account number), usually 3 work days after you have accepted the delivery. In case of return of goods, the refund amount will be lowered by transportation costs (this does not apply for claims!). You can choose your payment method before you choose the means of transport. All payment methods are included in the transportation costs. Advanced payment – if you choose this option, you are going to receive an advanced payment receipt with all the payment information. The goods expedition is going to take place upon receiving the payment on our bank account. PayPal – if you choose this option, you are going to receive an advanced payment invoice to your Pay Pal account. You have to mention your Pay Pal account in your email. The expedition of goods will take place after the Pay Pal invoice has been paid. Because we do not accept credit/debit card payments, this clause is irrelevant. Payment via credit cards is secure. We are using a secured payment gate with 3-D secure protocol, supported by credit card associations. All the relevant information (passwords, names, operations) are being encrypted. We do not encrypt general information (info on individual items of goods). In case the goods you received from your e-shop are damaged or dysfunctional, please refer to the Complaint procedure for settlement of claims. Rejecting the goods based on withdrawing from the Contract is mentioned under point 6) herein. The products to which the right to lodge a claim is applicable must be handed over for inspection immediately after a defect has been detected. The products must be clean. Appropriate documents and the description of the defect must be enclosed, or the defect area must be marked. Send the product to the address mentioned under “contact address”. The transportation costs are paid by the Buyer. In case of a justified claim, the Buyer may ask for reimbursement of the necessary transportation costs for the claimed goods. The consignment has to be complete (including all the documentation and accessories) and it has to be in the same condition as that upon acceptance of the goods upon delivery. Do not send the goods “cash on delivery”. In such case the goods shall not be accepted. We recommend that you insure the goods. Immediately after we have received the goods, the claims record will be sent to you. The goods have to be duly packaged for transportation to prevent possible damage. Damaged or defect goods shall be repaired or replaced, or else the Buyer shall be reimbursed. The Buyer has to enclose all the documents he received with the goods, including the invoice functioning as an indemnity letter. The Seller shall not be liable for any damage resulting from operation of the products, functional characteristics of the products and damages resulting from incompetent use of the products. The Seller shall also not be liable for damages caused by external circumstances and incompetent manipulation. The provided warranty does not cover damages of this kind. Only clean goods (for reasons of hygiene) shall be accepted for claims settlement. If the producer provides longer warranty, it is mentioned in the catalogue with the appropriate item. If a claim is rejected, the claims settlement procedure expenses and handling fees may be charged. You are going to be informed on the claim settlement by email. You are going to be informed about the consignment expedition and the term of delivery, similarly as in the case of your order delivery. Thank you for the time you have spent to read the Business terms and conditions. The Business terms and conditions are valid as of June 1st until recalled. Information for the Buyers: in case of change of the Business terms and conditions, the Business terms and conditions valid as of the date of the purchase shall apply. Pursuant to Act No. 101/2000 Coll. on personal data protection, all the data you provided shall be used solely for the purposes of executing your order. By concluding the Purchase Contract, the Buyer agrees to personal data processing. This consent is granted for indefinite time period. All the data acquired from customers shall be used solely for internal use and shall not be disclosed to third persons. Carriers of goods represent an exception to this rule, but the personal data disclosed to the carriers are limited to the necessary minimum, needed for proper delivery of the goods.